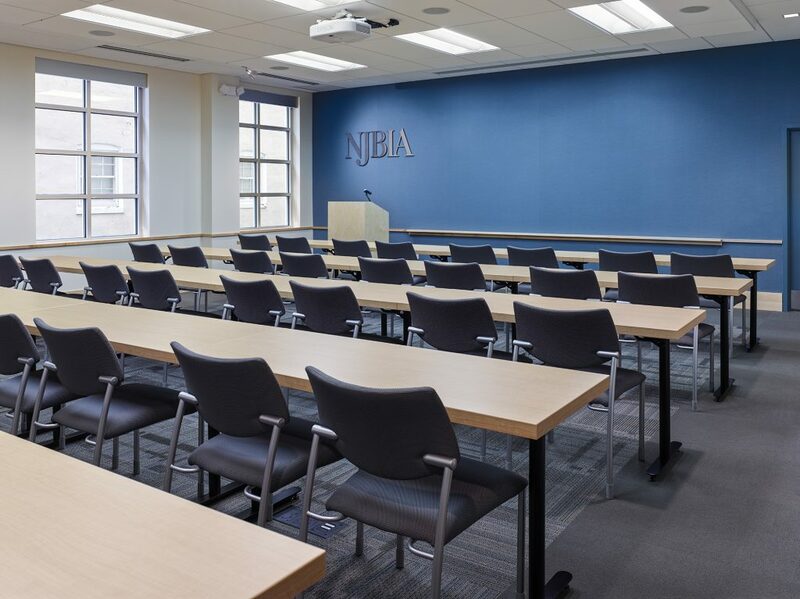 The NJBIA Office building is a newly constructed headquarters building for the New Jersey Business and Industry Association located just blocks from their former headquarters in downtown Trenton. 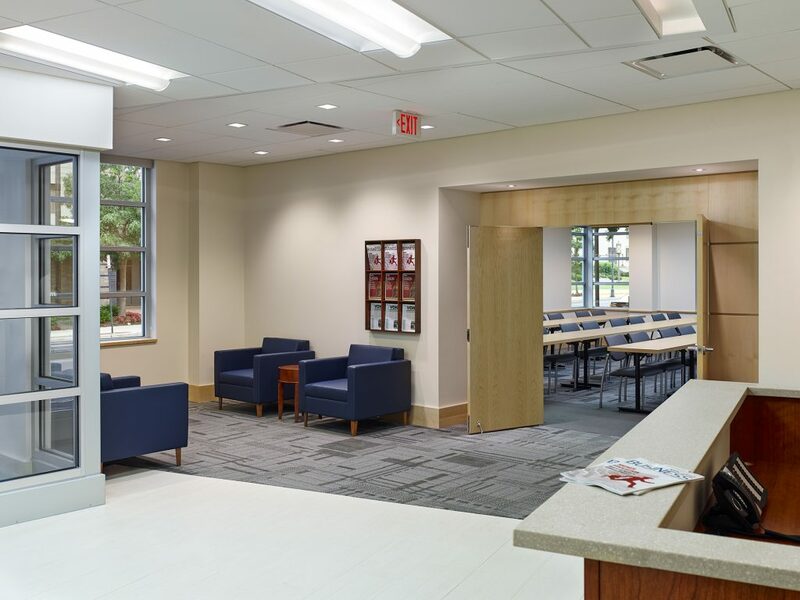 The first floor of the 4-story structure houses a large multipurpose room for presentations, meetings, and receptions, while the floors above house an large open office area surrounded by private offices. The limestone and brick facade compliments the existing brick structures that line West Lafayette Street. 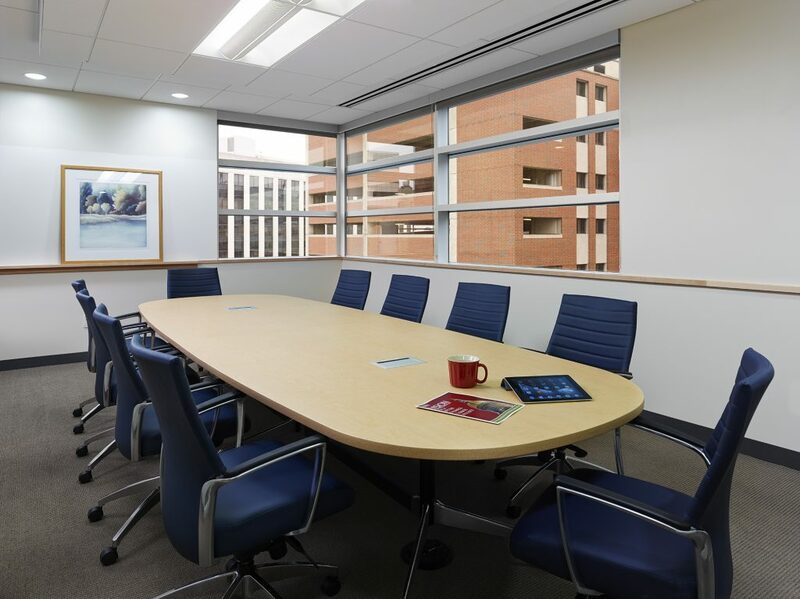 Conference rooms on the second through fourth floors are partially enclosed by a protruding curtain wall providing the client with ample light and views of the city.